Taking a dip into what's left of Mum's vintage always results in an envy of those long gone pieces that she talks about, complimented by a face palm for those times that I replied with "I'm not sure if I'll wear that" and then looked for the same item years after it's thrown out (stupid, stupid). Luckily, this stunning double breasted red and black coat was saved in its prime - shoulder pads and all. It's a shame that we all learn this lesson far too late... when the fur coats and handmade goodies are gone and they're standing there saying "told you so!" Needless to say, a motto I've strongly believed in for years is "Mother knows best!" Yes you do Mum, yes you do. 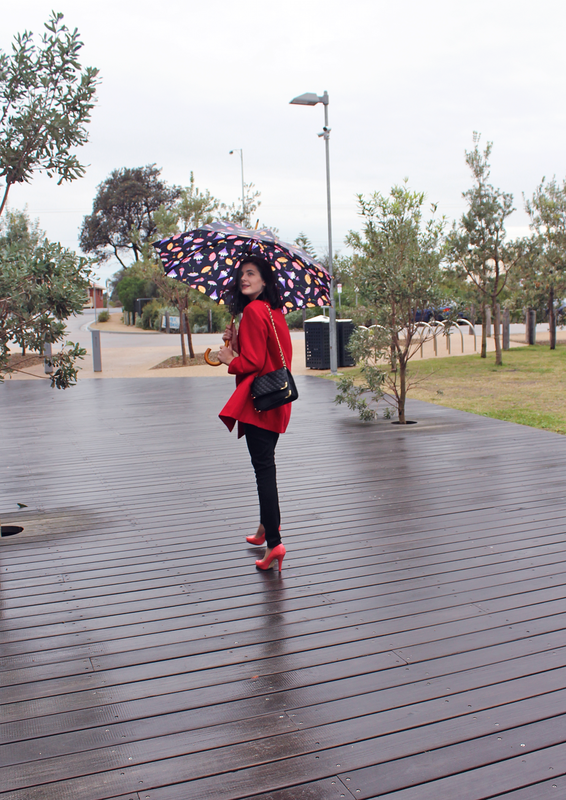 Red is such a classic colour, what a great piece :) And that umbrella is too cute! Charming. Red looks great on you. 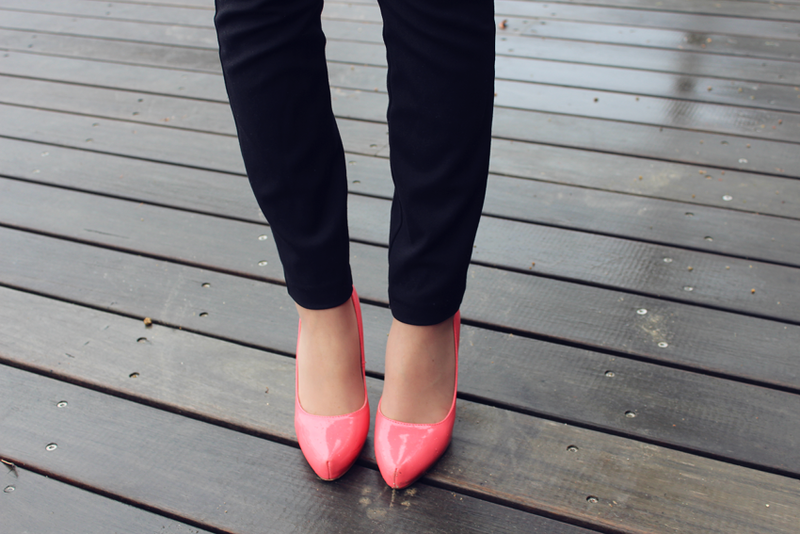 I also loved the fact that you used the same tone but not the same color for the shoes. Thank you! Red is quite a favourite. This outfit looks so good on you. Cute umbrella! Lovely pics! Would you like to follow each other via gfc and bloglovin? 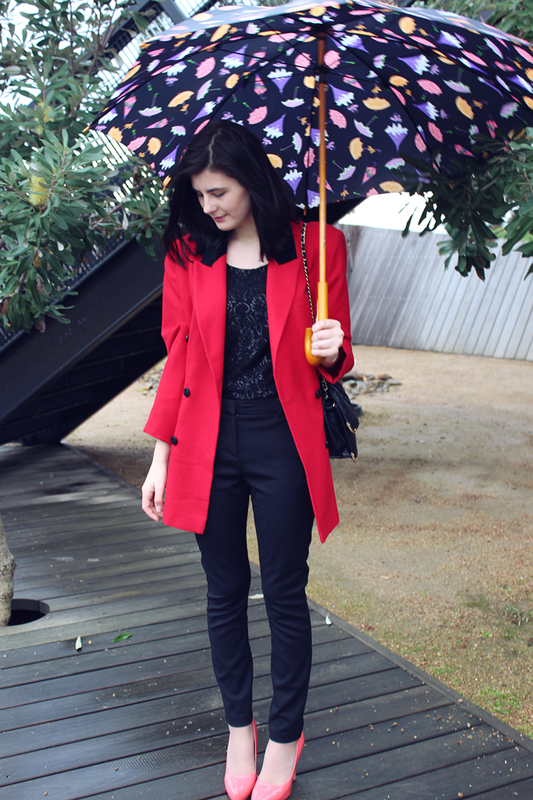 adorable umbrella and lovely shoes! Thank you Cherry :) Mum's the photographer haha!